While maintaining the overall health of your body both mentally and physically is essential, keeping good oral hygiene is essential. The objective of having oral health is to prevent buildup and formation of tartar and plaque, the prevention of periodontal disease and dental caries. A clean mouth will also keep halitosis at bay. Multiple surveys from many patients have indicated clearly that most people are unaware of the importance of maintaining oral hygiene and how oral health is connected to the general health of a human being. For instance, results from research that was carried out by the American Dental Association in 2012 on oral health inferred that a huge percentage of the American populace was not aware of the fundamentals of proper dental care. The study also showed that most people were clueless about the recommended time frame to replace their toothbrush and were also unaware of the factors that cause dental caries. Another study carried out by the Centre for Diseases Control and Prevention (CDC) found that over half of all the people who are above 30 years old in the US have some form of periodontal disease. Although having routine oral check-ups is critical, only 44.5% of the adults in the US visit their dentists on a regular basis for a check-up. Studies in the dental field have shown that people who don’t maintain the proper oral hygiene standards are at a greater risk of developing oral conditions such as dental caries or the periodontal disease. Diseases such as halitosis and discomfort for people who wear dentures have been directly related to poor dental hygiene. Moreover, some medical studies have associated some forms of mouth cancer to poor dental hygiene and poor oral health. In this article, we are going to highlight the advantages of maintaining proper dental hygiene and health at all times. When you maintain good oral hygiene, the chances are that you will have healthy gums. Taking care of your gums on a regular basis means that you will prevent the growth of bacteria in your gums. Oral bacteria leads to gum diseases that can sometimes be very infectious. Gum diseases are the leading cause of loss of teeth in the majority of adults. Regular brushing of your teeth using a soft and bristles toothbrush at least twice a day will help maintain your gums in a healthy state. It will also help to visit your dentist regularly so they can let you know if you have anything to worry about. 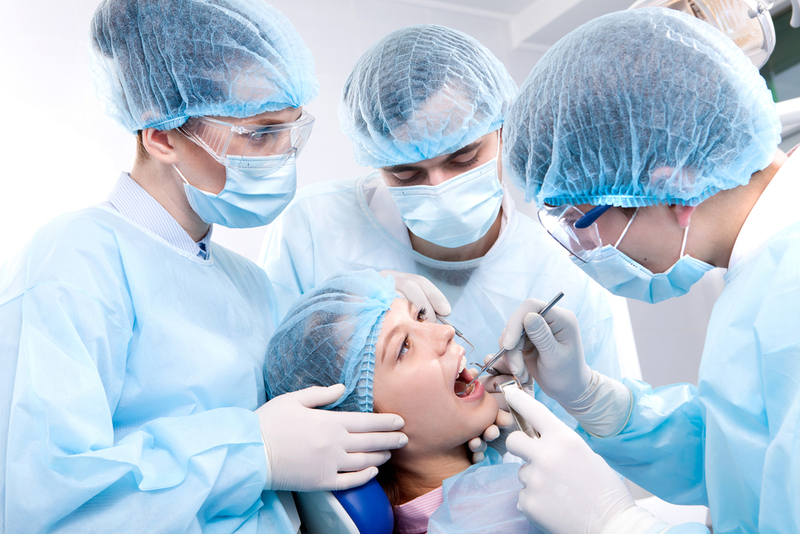 Make sure you visit a dentist like Dentist Calgary at least once a year. It has also been found out that eating a balanced diet goes a long way in strengthening your teeth and gums. Developing good dental habits and maintaining high levels of hygiene in your mouth will keep mouth cancers at bay. Regular dental check-ups along with proper drinking and eating habits are fundamental to prevent oral cancers. Regular visits to your local dentist will play a vital role in preventing oral cancers as dentists will be able to diagnose the growth of oral malignant tissue. Any symptoms of the development of oral cancerous cells should be reported to your dentist as early as possible. Multiple research has inferred that the inflammation of gums due to oral infections is a leading cause of diabetes and heart conditions. Poor health standards for your mouth may directly lead to the growth and multiplication of bacteria which is a chief source of inflammation. Moreover, periodontal diseases that are caused by poor oral hygiene affect the metabolism of carbohydrates. This may consequently lead to increased secretion of insulin by the pancreas which leads to diabetes. The deposition of plaque and cavities are the most common problems that are encountered by human dental formulas. Both children and adults experience these conditions. It is advisable to avoid binge drinking and smoking. It is also not healthy to consume very sugary desserts, too hot or cold drinks.